The Soterix Medical 1x1 is the clinical standard device when precision and safety cannot be compromised. 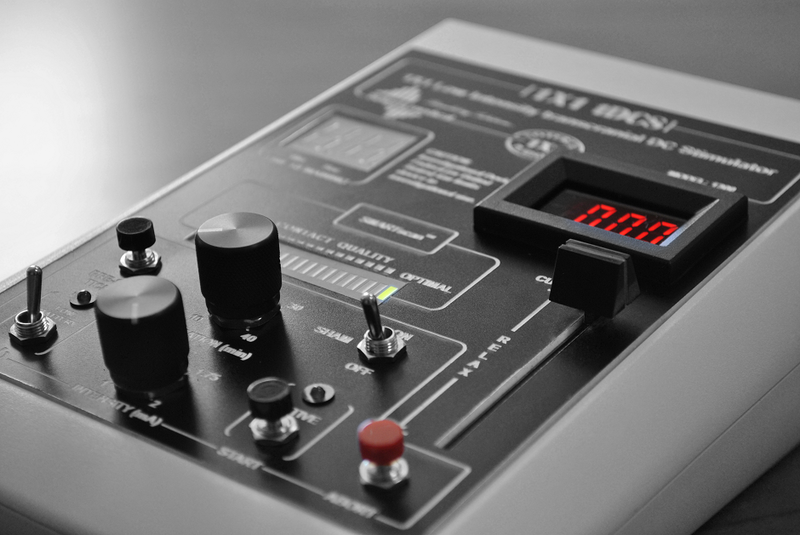 The Open-Panel™ control panel allows simple set-up and monitoring. Exclusive features including SmartScan™, RELAX™, and TrueCurrent™ ensure every run is successful. The Soterix Medical 1x1 was developed by clinical researchers, scientists, and biomedical engineers to provide all clinical standard tDCS protocols. Current intensity from Current intensity from 0.1 to 2 mA (5 mA option available upon request), and current duration from 5 to 40 minutes. Stimulation set-up is straight-forward with the simple to set-up Open-Panel™ controls, 1x1 electrode accessories, and SmartScan™ indicator. The tDCS 1x1 features allow you to focus on the subject and experiment, not the device. The Soterix Medical 1x1 platform is the most accurate tDCS technology available. Built into every 1x1 device are the most advanced monitoring and control systems updating performance and feedback over 1000 times per second. Stimulation output fidelity (signal-to-noise) is maintained during the entire stimulation session even if electrode conditions change. Precise control of output waveform is essential for stimulation efficacy and safety. *Soterix Medical Inc. can no longer provide tDCS accessories, HD-adaptors, neurotargeting software, or Solution Support for unverified devices by other manufacturers. In developing the 1x1, feed-back from leading clinical centers was clear: stimulation must be simple to program and its status must always be apparent to the investigator. With easy-click control knobs to set stimulation duration and intensity, and back-lit status displays visible in dim or bright room light, the Soterix Medical Open-Panel™ design takes the guess work out of the stimulation. Each Soterix Medical 1x1 feature was developed by our team of biomedical engineers consulting closely with leading clinical centers. 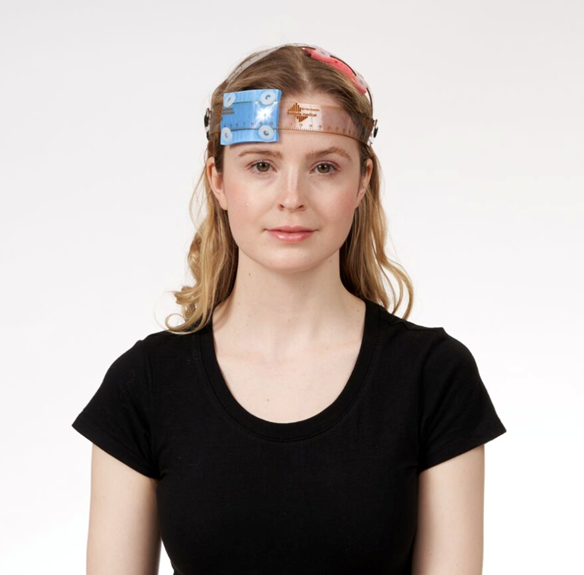 Designed to simply set-up, provide intelligent warning of a fault condition, and allow for adjustments for patient comfort, these features facilitate reliable and tolerated tDCS. The Soterix Medical SmartScan™ feature is central in all tDCS devices to allow reliable set-up and monitoring. The RELAX™, Tickle™, and TrueCurrent™ innovations were developed for the 1x1 tDCS. From pre-stimulation set-up, to during stimulation monitoring, to post-stimulation confirmation, the Soterix Medical SmartScan™ feature provides an intuitive and clear indication of electrode contact quality. 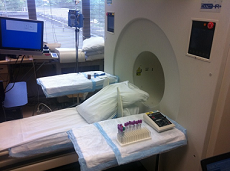 Use the SmartScan™ during set-up to adjust electrodes and head-gear for optimal fit. During stimulation, SmartScan™ provides a constant indication of electrode quality and can be monitored during adjustments (e.g. addition of saline to drying electrodes). 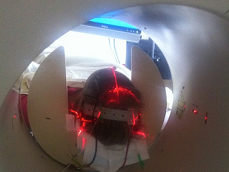 After stimulation, SmartScan™ confirms a successful trial. Because “resistance” is not meaningful for tDCS, SmartScan™ was developed by Soterix Medical engineers to provide clinical investigators with a simple to read indication of contact quality. What other devices promise, the 1x1 tDCS delivers. The back-lit display can be monitored during stimulation ramp up to confirm that the targeted current intensity is achieved. Tickle™ may be used to both condition skin prior to tDCS and for naïve subjects who are anxious about stimulation. A custom on-off waveform pattern generates mild and brief sensation under electrodes. transcranial oscillating Direct Current Stimulation. Request this special mode for the only devices designed for precise modulated direct current stimulation. toDCS includes all the features of standard 1x1 tDCS but provide only oscillating direct current waveforms. More. Limited Total Energy for Clinical Trials. The same advanced power managment system used in the 1x1-Clinical Trial devices available only by special request on the 1x1-tDCS. CT-LTE provides a unique power and voltage limited technology, exclusive to Soterix Medical. For conventional LTE, limited to 1.5 mA, use the 1x1-LTE tDCS model. The lowest noise tDCS device ever, for combination with EEG recording. Available only by special request, the +EEG mode on the 1x1-tDCS is a unique device especially designed for combination with EEG recording. All standard 1x1-tDCS devices already provide industry standard precision and low-noise output control. The +EEG mode of the 1x1-tDCS is a unique product only for EEG application where “floor level” noise is required from the simulator for theoretically maximized EEG S/N. Contact Soterix Medical professional support for guidance. With increased interest in the use of monitoring, such as EEG, PET, MEG, Eye-tracking, NIR and fMRI in conjunction with tDCS, Soterix Medical remains the only company with the technology and expertise to ensure successful integration. 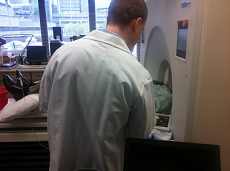 Stimulation generates artifacts in all monitoring modalities including fMRI (Antal A et. al 2012), such that use of technically compatible devices without also integrating rational trial design, can lead to errant findings. Rational Integration of Soterix 1x1 tDCS with PET. 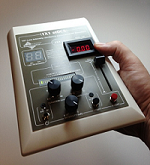 Based on the industry standard 1x1 platform, Soterix Medical introduces the first stimulator designed for toDCS. Simply select “toDCS model” when configuring your 1x1 stimulator. 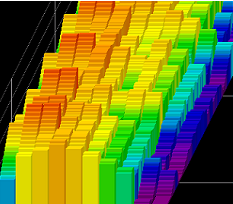 toDCS provides the full range of toDCS waveform investigated in clinical trials with frequencies from 1-100 Hz and current range 0.1 - 2 mA (0.1 - 5 mA). Custom settings are also available. toDCS systems are designed to work with standard 1x1 accessories and provide the only “out-of-the-box” ready solution for toDCS. Soterix Medical 1x1 toDCS includes exclusive 1x1 features like Relax, TrueCurrent, and SmartScan – all optimized for the special aspects of toDCS. From the industry leader in non-invasive neuromodulation, Soterix Medical 1x1 toDCS is the only system designed for toDCS provides unmatched control of the waveform, easy-of-use, and customized features. Optimization of electrode montage for brain targeting and individual subject customization has never been as easy as with Soterix Medical's Neurotargeting software. With recognition that placing an electrode "over" a target does not support rational tDCS does design, the Soterix Medical Suite of software tools allow simple and automatic optimization. Soterix Neurotargeting software also provides high-resolution current flow visualization that can be used to support publications, presentation and proposals. 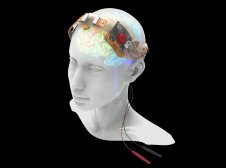 Revolutionary non-invasive targeting software for optimal brain stimulation therapy. Soterix Medical Case Use reports are provided for information purpose only and the original publications should be consulted for comprehensive details. Caution! Investigational Device. Federal (or the United States) law limits the device to investigational use. Soterix Medical tDCS-LTE therapy is available in select regions including the EU. Recognizing and putting an electrode “over” a brain region and the other electrode at a “return” location does not optimize current delivery to that brain region. 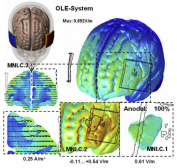 Stimulation of the dorsolateral prefrontal cortex (DLPFC) was optimized using computer simulations and the modeling methods used have been experimentally validated to be precise and optimized across subject head anatomy. The resulting montage was the “Omni-Lateral-Electrode-System” (OLE-System), which is superior to any EEG 10-10 based system including F3-F4 and to the other rules (e.g. BEAM F3). The Pursuit of DLPFC: Non-neuronavigated Methods to Target the Left Dorsolateral Pre-frontal Cortex With Symmetric Bicephalic Transcranial Direct Current Stimulation (tDCS). Brain Stimul. 2015 May-Jun;8(3):590-602. doi: 10.1016/j.brs.2015.01.401. Soterix Medical is the pioneer and industry leader in tDCS technology from the first medical-grade tDCS electrodes to head-gear designed for reliable and simple electrode positioning. The OLE-System for electrode placement optimized for DLPFC stimulation is triangulated through simple anatomical landmarks and the OLE SNAPstrap achieves this electrode placement in seconds. 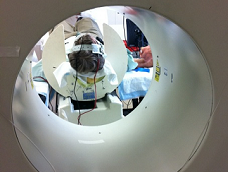 tDCS protocols are only as reproducible as the electrode design and placement. SNAPstrap system combined with SNAPpad electrodes is extremely robust and it was validated even under self-application in a patient population with motor deficits (MS). Remotely-delivered cognitive remediation in multiple sclerosis (MS): protocol and results from a pilot study. Mult Scler J Exp Transl Clin. 2015 Oct 5;1:2055217315609629. doi: 10.1177/2055217315609629. The OLE montage for DLPFC activation along with Soterix Medical LTE stimulation technology was validated in a series of clinical trials including for Depression. Two double-blind controlled clinical trials for Depression established the statically significant superiority of tDCS using OLE and LTE technology over placebo as either a stand-alone or add-on to pharmacotherapy treatment. Read the press release here. From model-driven design to optimized head-gear, to rigorous clinical trials, this Soterix Medical case use demonstrates the value of advanced technology for target engagement and compliance control. Efficacy and Safety of Transcranial Direct Current Stimulation as an Add-on Treatment for Bipolar Depression: A Randomized Clinical Trial. JAMA Psychiatry. 2018 Feb 1;75(2):158-166. doi: 10.1001/jamapsychiatry.2017.4040. 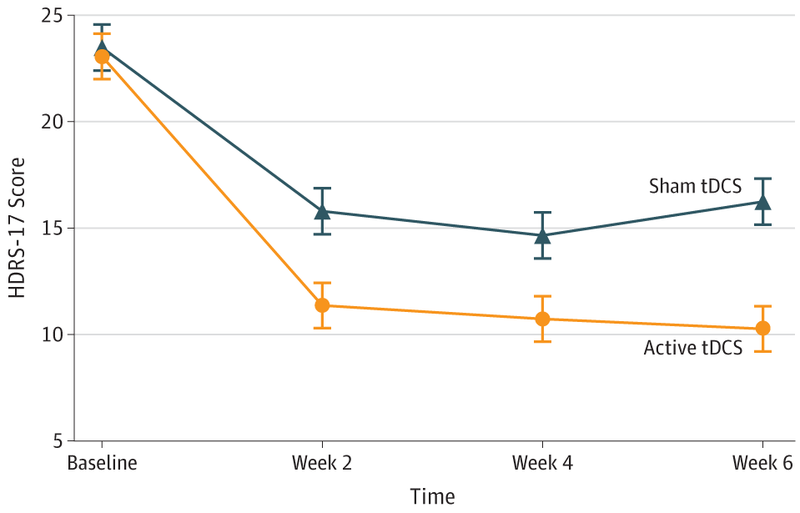 Trial of Electrical Direct-Current Therapy versus Escitalopram for Depression. N Engl J Med. 2017 Jun 29;376(26):2523-2533. doi: 10.1056/NEJMoa1612999.